You can't just do one thing if you've been an old-school Rocker and you want to be a new-school Rocker. You have to diversify, make a change, do the Twitter, take pictures of your food for Instagram or something like that. Sammy Hagar knows this, he's an entrepreneur, a successful CEO, a commercial Rock icon and a fun bloke. All these work for him; his rum business, making Van Halen into Van Hagar (a sales juggernaut) and having a good time with mates in Chickenfoot and releasing work that sounds like he feels. This is about number, the work he admits some don't like, some don't buy and you suspect about which he doesn't much care. The money is in, the sales are there with Chickenfoot, this means he can stretch out in his work with the likes of The Waboritas... and he does. Never one to stand still, what we have here is a compilation of his work with The Wabos covering the four album period between 1999 and 2006 (and therefore obviously not including anything from his earlier works, such as solo material from the seventies – personally I've always liked 'Nine On A Ten Scale'). On this fourteen track retrospective you have the likes of the hollering hoo-ha of 'Serious Juju', the breezy bop provided by 'Ten 13', the Hawaiian sounding short instrumental 'Maui Wowie' and the naughty, horny brass of 'Shag (Outtake Mix)'. With all the activity he manages, his solo work can be crowded out and in truth there's nothing to place this at the forefront of his work, but it is fun to be with. This collection also includes two unreleased songs to tickle you; 'No Worries' being a rolling thing with a Gospelly middle, and 'Never Said Goodbye' a softly shimmering acoustic ballad which includes some Procol Harum-like organ. Neither is essential but both are quite diverting. 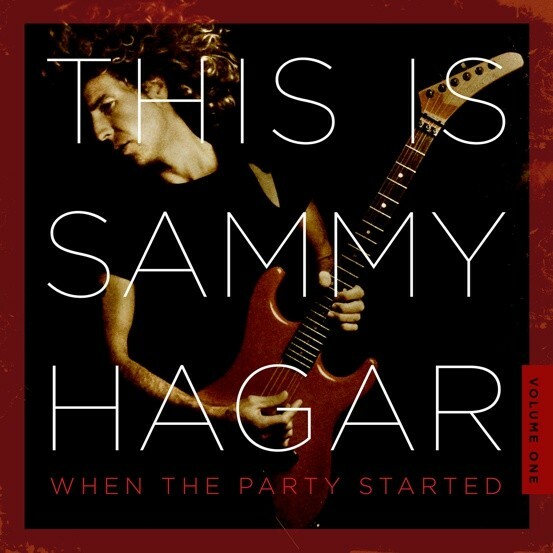 Sammy Hagar is his own man. This is his own music. The party may be starting and you might get an invite, but he will choose the entertainment. Trust him, you'll enjoy it.